The Miami International Boat Show will be held February 11-15, 2016. This time it will be a brand new location…at the Miami Marine Stadium Park and Basin near Virginia Key. There will be a lot of exciting exhibits, workshops, seminars, and of course…boats, boating accessories, engines, boating electronics and more. Marine Electronic Installers LLC will be there too. We will be showcasing our before and after pictures of our installations and will provide expert tips on installation services. If you are a boat owner and want the latest and greatest radar equipment, depth finders, fish finders, underwater lights, on board controls and so much more, then Marine Electronic Installers (MEI) is here to service your boating needs. 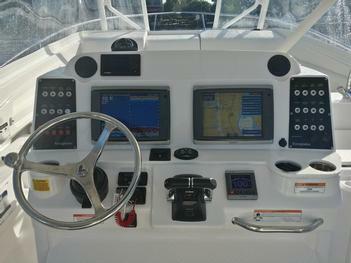 We will go over the different types of marine electronics to suit your needs and budget. We can fabricate or re-fit any boat to accommodate whether it’s a standard motorboat to a luxury yacht…we have you covered. It’s a good idea that while you are at the Miami International Boat Show to look at all the vendors and boats there. This will give you a great in-depth look at what is available in the market today. Every new boat or yacht has the newest electronic equipment on board. Ask questions to the owners or captains there if you see something you really like. Then, come over to see us and we will provide you with expert information on how to purchase that marine electronic equipment and how to get it installed. Of course, you can always come and see us before the show to get an idea of what you want. We have all the necessary tools to show you. Our expert installers are just an appointment away to get started. We will come right down to your boat slip, check out what you have initially, and ask you what your needs are. We will work with your budget and get the job done right. Our team is available 24/7 and if there is ever a problem or concern we will come right out to service you, and get you up and running. There is no job too small or too big. We are proud to service South Florida from 3 locations: Fort Lauderdale, West Palm Beach and Stuart. 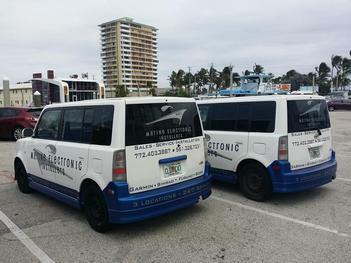 So, anywhere you are in South Florida with Marine Electronic needs, we are just a phone call away. From Navigation and Security to Entertainment and Communication we have your marine electronic needs handled. We pride ourselves on top-of-the-line service with many years experience and integrity. We provide free estimates with no obligation. Keeping your boat up to date with the newest marine technology will not only make your boating outings more pleasurable (by finding lots of fish!) but it can also keep your boat safe and secure. Because when you are out in the Atlantic Ocean or just cruising down the Intercostal, you want to make sure you are not going to scrape up against anything that will damage your boat Plus, if you ever had to send out an S.O.S, you want to make sure your radios are working to call out, as well as knowing if there is a storm approaching. See you at the Miami International Boat Show!